We provide professional waste management services to businesses and organisations across all sectors in York. Our wide-ranging waste management services can help our clients in York deal with all the waste they produce. From food waste to hazardous waste types and recyclable material, our services can assist with the storage and disposal of all types of waste, ensuing our clients operate in full compliance with waste regulations in force across England. If you are looking for a comprehensive waste management service in York that your business can rely on, look no further than Big Green. Call our team today for free expert advice and a free quotation on the services your business needs. York is one of the UK’s most picturesque cities and attracts droves of tourists every year. Steeped in heritage, York plays home to the iconic York Minster and attracts visitors of all kinds, from families to couples. 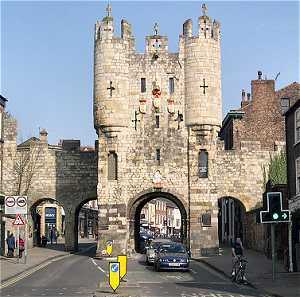 Consequently, York is something of a hot-bed for local businesses, with hotels and restaurants taking advantage of the city’s thriving tourism industry. At Big Green, we offer an essential service to these businesses, helping them recycle large volumes of their waste as efficiently as possible. Full waste audits - helping our clients both identify and quantify the waste they produce so that they can manage it more efficiently. Tailored collections - our collection teams in York provide tailored collections to meet the individual needs of each of our specific clients. From multiple site collections to daily, weekly or bi-weekly collections, our flexible services ensure our clients receive the service they need. Expert legal advice - as experts in the waste management industry, we can provide our clients with the advice they need to ensure they are managing and disposing of their waste in compliance with all relevant waste regulations. Call our experts today for a free quotation on the services we provide across York. Whatever your particular waste management needs, we can offer you a highly-professional service to ensure that they are seen to. With Big Green, you can enjoy confidence in the fact that your waste is being managed by professionals, providing you with security against the threat of prosecution which can plague businesses who do not possess requisite expertise in waste management.